In the sixth edition of our eight part series, we’ll be delving into the off-season needs of the AFC East. The AFC East has had both its share of blockbuster signings (the Jets signing Mosley and Bell), budget signings (Beasley and Brown to the Bills), and just straight up inactivity (Miami and New England). There’s still a handful of intriguing free agents left as well as promising young draft prospects to fill out team needs for the AFC East however. Let’s dive right into what positions remain the Achilles heel of each AFC East team. The New England Patriots may have made a fatal mistake in letting Trey Flowers walk in free agency. Trey Flowers was ranked the number six edge rusher by Pro Football Focus this season and it’s absolutely no surprise why. Trey Flowers is one the leagues premier edge rushers in the NFL but also ranked top five among all edge rushers in run defense grade by Pro Football Focus. Flowers provided New England with a do-it-all defensive end who could wreck an offensive game plan at anytime. Now, New England is rolling with Deatrich Wise Jr and Michael Bennett at the defensive end positions. Wise is a less than game-changing edge rusher who hasn’t had over five sacks yet in his short career while Bennett provides a dynamic, albeit not premier pass rusher off the edge. New England’s loss and absence of a premier pass rusher could prove to be a huge setback for a defense who performed extremely well last season. 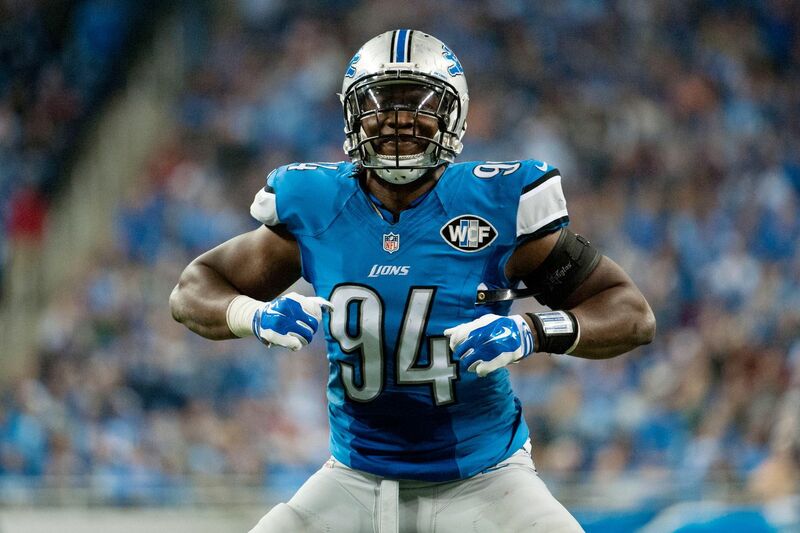 Possible free agent fits at a somewhat budget price (twelve million or less annually for a pass rusher) could be Ziggy Ansah or a trade for Robert Quinn (Quinn visited the Cowboys today as of 3/19/19 while Miami is in ‘very serious talks’ with Dallas). Otherwise, New England should be able to find ample value in a deep defensive line draft class. Another sizeable position of need for the reigning Super Bowl champions is the linebacker position. Elandon Roberts and Kyle Van Noy are currently manning two of the three starting linebacker spots with Dont’a Hightower manning the third starting position. To say the least, that is quite a meager depiction of a linebacker corps. This is a position that New England should address early on in the draft and maybe even consider trading up to secure a quality linebacker prospect in Michigan’s Devin Bush. Linebacker will also prove to be a very important requirement in a division featuring the likes of Shady McCoy, Kenyan Drake, and now LeVeon Bell (not to mention Josh Allen’s ability to take off and pick up yards with his legs). Sam Darnold got major help when one of the most electric running backs of the last couple decades was brought in during free agency, ala LeVeon Bell. Nobody has averaged more scrimmage yards per game in the first five seasons of their career (not counting quarterbacks) than LeVeon Bell. This will help Darnold get more one on one coverage with his wide receivers while also diminishing his required workload. However, if the Jets truly want to build around their young quarterback, they need to provide him with explosive weapons on the outside. Jamison Crowder was recently signed to New York in free agency, however, he never really even blossomed in Washington, often struggling with drops and explosive plays in the passing game. Currently, the New York Jets don’t have a single player on the roster who has ever had 1,000 yards receiving or ten receiving touchdowns in a season. New York needs to make receiver a need of the utmost urgency going into the NFL draft in April as all the premier receiving free agents have dried up. Now this is just embarrassing. Kelvin Beachum, Ben Braden, Tom Compton, Jonotthon Harrison, Brian Winters, Jon Toth, Brent Qvale, Jordan Morgan, Eric Smith, Brandon Snell, and Keleche Osemele are currently the offensive lineman on the New York Jets roster. If you have heard of any of those guys except Osemele and MAYBE Winters then I applaud you, you know your football. The New York Jets are an absolute mess all across the offensive line and the only player that isn’t a blatant liability in that group is Keleche Osemele. Even then, Osemele has rampant injury concerns. If New York doesn’t want Darnold constantly getting smacked in the mouth when throwing with Bell swallowed up before a play can even develop, they absolutely must address offensive line this off-season. I would maybe even consider trading down for two first rounders and double dipping at the position round one if I were New York. I already know I’m going to catch an earful for this take but just hear me out. Miami went ahead and traded away starting quarterback Ryan Tannehill to the Tennessee Titans shortly into free agency, but then opted to go with veteran Ryan Fitzpatrick as their replacement as the franchise quarterback. Many Miami fans likely are excited to have a couple of high upside Fitzpatrick’s on the roster, however, I’m not so convinced. Ryan Fitzpatrick had one of the best (and arguably THE best) receiving corps in the NFL in Tampa and caught recognition instantly with eight touchdowns to one interception along with over 800 yards in the first two games. He then went on to average 298.8 passing yards per game with a 17:7 touchdown to interception ratio over the first six games. Fitzpatrick even had people calling him the early favorite for MVP after the first two weeks. However, he then had two horrendous showings with zero touchdowns to five interceptions over the next two games. Furthermore, Fitzpatrick really hasn’t had a season in the league outside of a few games this season that suggests he’s an above average NFL quarterback. Fitzpatrick is nothing more than a solid bridge quarterback, so don’t get it twisted, Miami is still in search of a franchise quarterback and should address football’s most crucial position come draft time. Another huge position of need for Miami this off-season is a pass rusher really anywhere on their defense. Miami ranked fourth worst in the league last season in defensive sacks with a pedestrian 31 sacks. As if that isn’t bad enough, the Dolphins lost their most established veteran edge rusher in Cameron Wake this offseason when he signed with the Tennessee Titans. The pass rush is projected to stand as a huge liability for Miami in this upcoming NFL draft if they fail to address it with a high draft pick (round one or two). Furthermore, having no pass rush won’t do Miami any favors when facing Tom Brady, Sam Darnold, and Josh Allen twice a year. Shady just wants some daylight. All season long, “Shady” McCoy had monumental issues finding any sort of breathing room in the running game. Meanwhile, Buffalo wasn’t awful in sacks allowed, ranking middle of the league, but it was quite often that Buffalo fans were forced to stand by and watch Josh Allen deliver passes while getting sandwiched by 300 pound lineman. If Buffalo wants to create a Josh Allen and “Shady” McCoy friendly offense centered around their two playmakers, it all starts up front. Buffalo currently doesn’t have a single player on the offensive line who ranked a 70 or higher by Pro Football Focus this season with three ranking below a 50… that’s simply horrid. Mitch Morse and previous Washington swing tackle Ty Nsekhe were solid pieces to add to the Buffalo line, however neither are game-changers up front. Nsekhe and Morse are simply solid complimentary pieces to polish off an already solid offensive line… a distinction that Buffalo has yet to even approach obtaining. It would be sensible for Buffalo to address offensive line round one come April 25th. Offensive line in round one has never been a fan favorite as it may not be such an adrenaline rush of a selection, but it just may be the smartest move for this franchise going forward. Pass rush is also another round one selection come draft time that would make complete sense for Buffalo. Buffalo was bottom ten in the league in team sacks this past season and despite having a dynamic edge rusher in Jerry Hughes, don’t have much help elsewhere. Not to mention, the team’s most reliable options to get after the quarterback are all aging veterans with not much youth on the defensive line (outside Shaq Lawson who is a rotational piece at best). It just may be in Buffalo’s best interest to maybe trade up for a piece such as Houston defensive tackle Ed Oliver to replace veteran Kyle Williams as the team’s reliable three tech defensive tackle. Previous Entry Can the Bucks take it all?